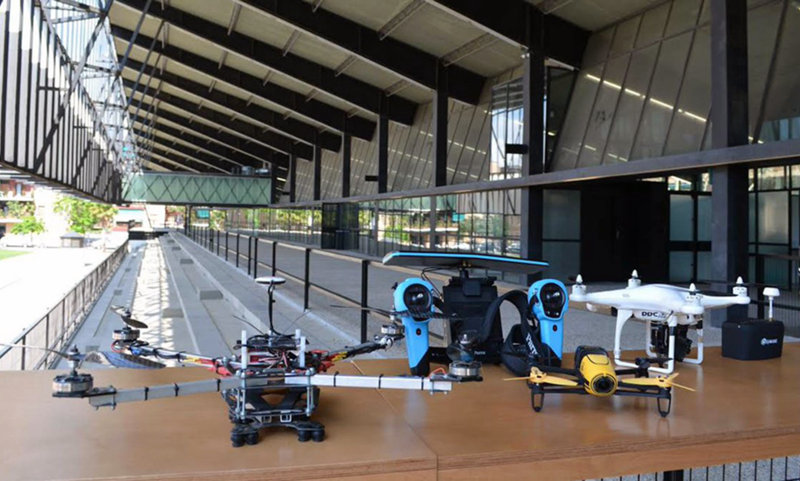 What are we learning about how drones can be used for public safety? Mike Uleski is an officer with the Daytona Beach Shores Public Safety Department. 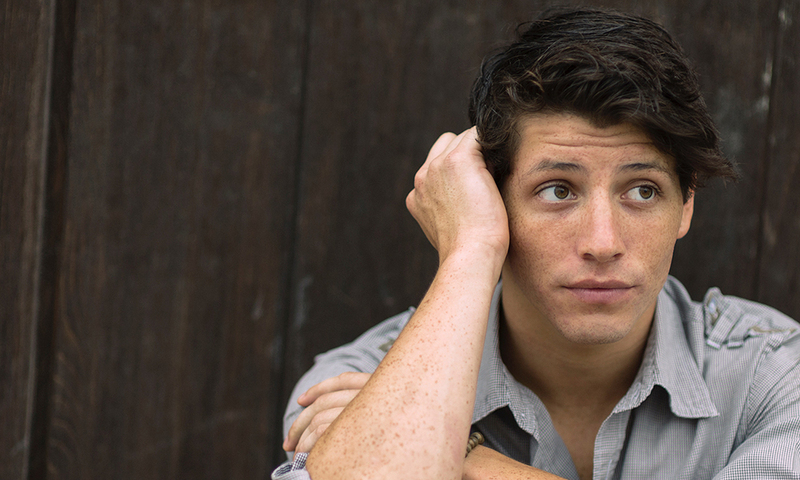 He has a private pilot’s license, earning it before graduating high school. At Embry-Riddle Aeronautical University, he earned a bachelor’s degree in aeronautical sciences. He has a commercial pilot certificate with ratings for instrument flight, single-engine, and multi-engine aircraft. In addition to being a patrol division sergeant with the Daytona Beach Shores Public Safety Department, Mike is also cross-trained as a law enforcement officer, firefighter, and EMT. He is also the Chief Public Safety Instructor at DART Drones. 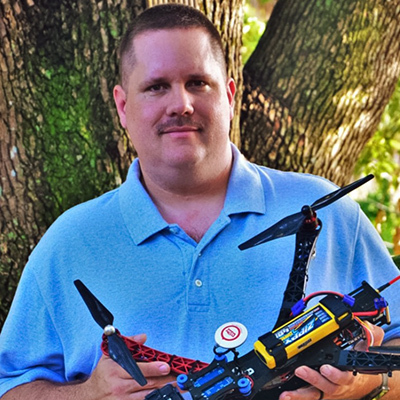 Additionally, Mike has more than 17 years of experience building and flying remote-controlled aircraft, including fixed wing, helicopters, and multi-rotors. Under Mike’s supervision, the Daytona Beach Shores Public Safety Department has been using drones in its public safety operations. In this edition of the Drone Radio Show, Mike talks about four case studies where drones where used by his department, the lessons learned and what public safety agencies should consider when creating their own drone program. [02:46] Introduction. Mike Uleski is a sergeant with the Daytona Beach Shores Public Safety Department. He is cross-trained as a law enforcement officer, firefighter, and EMT. He’s been with the department since 2010. Prior, he was in the aviation industry as a research and development projects manager. [04:17] Drones in the Daytona Beach Shores Public Safety Department. Drones are now part of the Department’s daily operations. Mike has a long history with RC and model aircraft and had a drone himself. When asked to use a drone for damage assessment after Hurricane Mathew in 2016, Mike was able to show the value of drones. [05:03] Public Safety Case Studies. Mike discusses four use cases where drones were used to support the public safety objectives of the Department. [05:31] Damage Assessment. Following Hurricane Mathew, Mike used a drone to complete a damage assessment of the entire city of Daytona Beach Shores in about two hours, much faster than if it had to be done on the ground. This was the first use of drones for the Department, and it demonstrated the effectiveness of the technology. 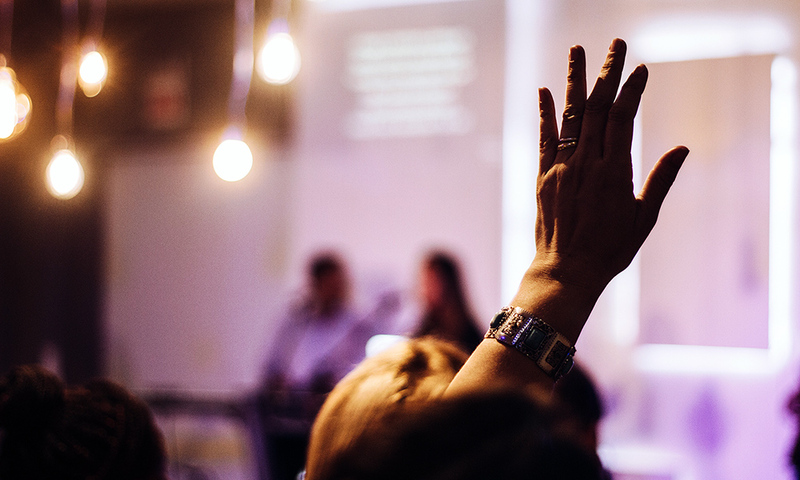 Shortly thereafter, the City Council supported the creation of a drone program. Starting a new program required creating standard operating procedures manual, establishing a training program and training the operators to fly drones for the department. Mike developed an in-house training program, so they will maintain safety while supporting public safety missions. [17:21] Acquisition of Evidence. Mike used a drone to fly 700 feet to capture a license plate tag on a car suspected to be involved in crime. The suspects were known to be armed and dangerous. The drone imagery enabled the officers to confirm the car was involved in the crime and make an arrest. Mike also talks about how a new Florida law affects the use of drones by public safety organizations. [23:49] Suspect Chase. In a third use case, Mike describes how a drone was used to track down a suspect and guide officers to make the arrest. Mike discusses the procedures and challenges when using drones to monitor a fleeing suspect. [26:34] Hostile Barricade Situation. A suicidal man, with firearms, barricaded himself in his home. The Public Safety Department set up a perimeter and began negotiations to bring the individual out of the house and end the situation without violence. The individual’s phone was losing power and he indicated that if the phone goes out, he would end his life. Mike used a drone to fly a compatible phone charger to the house, which was retrieved by the individual. The drone was also look into the windows to locate the individual inside the house. [40:12] General Take-Away. Based on the four use cases, the general take-away is that the drones need to looked at as serious tool that can help law enforcement. Particularly, drones can help save lives and make certain situations more secure. [41:13] Training. Currently two individuals within the Daytona Beach Public Safety Department can fly drones. Three more are undergoing training. Mike developed an in-house training program to ensure operators are capable of flying the anticipated public safety missions. [43:20] Long Range Plan. Mike discusses the long-range plan to fully integrate drones into Department operations, including new technologies and potential new legislation and how decisions will be affected. [45:37] DART Drones Instruction. 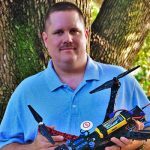 Mike shares his experience as a DART Drones Instructor, where he specializes in public safety training courses. He talks about how he became an instructor and the topics covered in the courses. Many of the students are interested in the regulatory aspects of flying drones for public safety. [50:30] Value of Drones. According to Mike, drones have turned the Department into a technology center for the area. 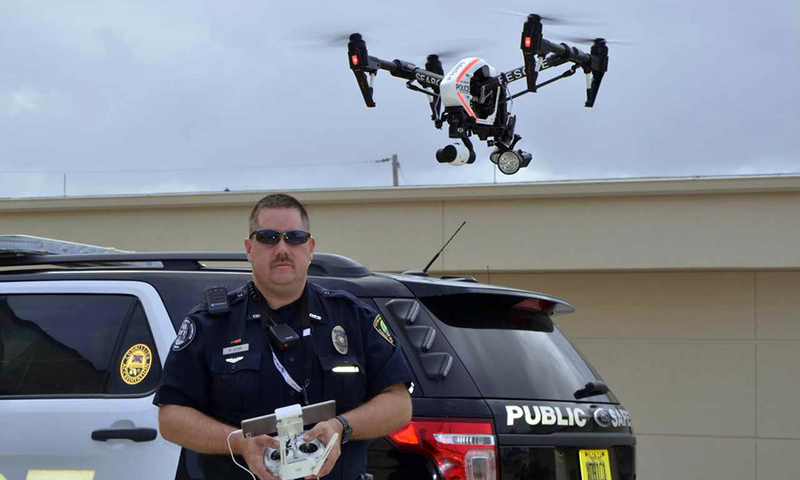 The Daytona Beach Shores Public Safety Department is seen as the pioneers for the use of drones in the public safety. Mike observes that the public perception of drones has changed positively and has become supportive of the technology. [53:10] Closing. Drones give law enforcement a perspective and efficiencies that they have never had before. Drones can replace humans in the most risky and dangerous situations, which can save lives, while improving work flow and efficiencies.